Looking for information about Cognitive Behavioral Therapy? Visit our website specially designed for the Public. We have information about Mind Over Mood 2nd edition worksheets and translations, book recommendations, and news about CBT. Got questions? Dr. Padesky provides CBT consultation to clinicians, researchers, program administrators and others on a wide variety of issues. Available in multiple modalities, individual and group. On-site or on-line. On-going, intermittent, or one time. Exclusively for Mental Health Professionals. Receive free advance email notifications. Choose what information you want to receive from notices of our new programs, training materials on DVD & CD, publications, clinical tips, weeklong workshops, and consultation with Dr. Padesky. Cognitive Therapy Training on Disc™ is available only to Mental Health Professionals or graduate students in a mental health field. ENJOY special 22-25% SAVINGS on Discount Bundles and 10-25% savings on On SALE Items. FREE Worldwide Shipping on CDPAK25, CATPAK825, and 8PAK Discount Bundles. For personal use by supervisors, researchers, instructors, and therapists: The Collaborative Case Conceptualization Rating Scale (CCCRS), Coding Manual & Score Sheet. Operationalize the model of case conceptualization developed by Kuyken, Padesky and Dudley (2009). We recommend some of our favorite Cognitive Behavior Therapy books in a variety of categories. Brene Brown recommendations as well as some fun casual reading and Tech recs. Listings for THERAPISTS and links for the PUBLIC. Strengths-Based CBT: A four-step model to build resilience. Read how Padesky and Mooney’s model is designed to help clients build positive qualities and how it can be used to build and strengthen personal resilience. FREE from Wiley. Welcome to our website – Visit Often. We keep adding content! 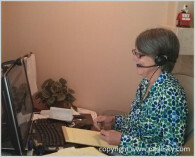 We have provided cognitive behavior therapy training and workshops for CBT therapists worldwide since 1983 and have published www.padesky.com since 1998. Whether you enjoy reading free articles, reviewing our CBT workshop topics, learning about consultation opportunities or CBT conferences, we hope to provide you with useful, timely and relevant CBT learning materials. We continue to add to our Clinical Corner section with free reprints of many of our journal articles including Strengths-Based CBT. Also, we are pleased to offer access to a reprint of one of the best CBT PTSD treatment articles: Ehlers & Clark’s cognitive model of PTSD. Please check out our book recommendations, and lists of our favorite CBT associations, conferences, and journals. We offer CBT training materials on Video DVD and Audio CD with over 25 programs for Mental Health Professionals and graduate students in a mental health field. We ship WorldWide and shopping is 24/7 at www.Store.Padesky.com. 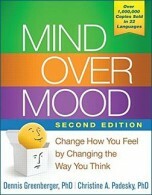 Your clients may find it useful to visit our www.MindOverMood.com website which is designed exclusively for the public. It provides information about the book Mind Over Mood as well as CBT resources, recommendations, and a CBT therapist finder. Our websites are in continuous progress. We regularly upload information and encourage you to keep checking back.